The state bordering Nepal in the east is Uttarakhand. Other states like Bihar, Uttar Pradesh and Sikkim surrounding the Himalayan Kingdom. What makes is the state of Uttarakhand unique is it is a holiday destination in India littered with lakes all around. Nestled in the Kumaon region, the place is closer to the Himalayan Mountains and hence this area is very mountainous. Kumaon region is a mountainous place in the outer regions of the Himalayan Mountain Ranges. 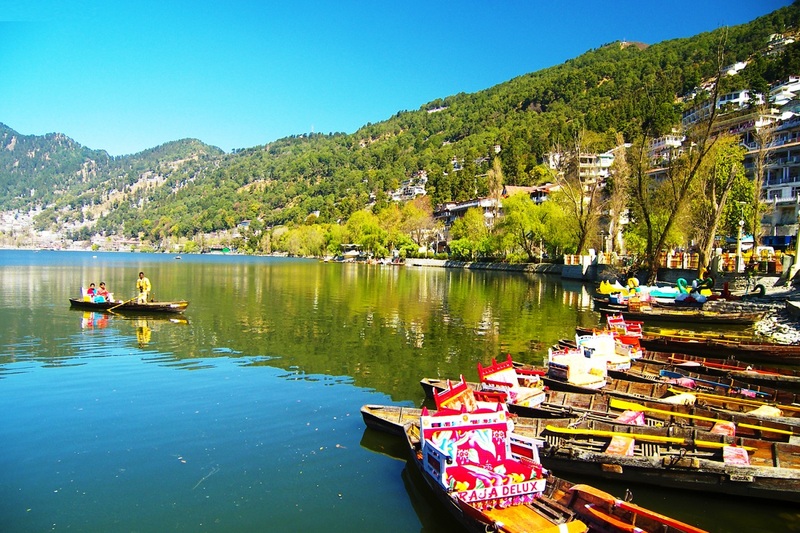 Tourism forms the basic and most important livelihood for the residents of Nainital. A tourist frequented place is Panchachuli Glacier. Its snow-capped mountain offers a scenic view; these mountains are best viewed by trek. Nainital is a very popular tourist destination for both domestic and international tourists. Derived from the names of one of the Major Lakes – Naini, the place has some popular tourist spots like Haldwani, Kaladhungi, Ramnagar and many more. 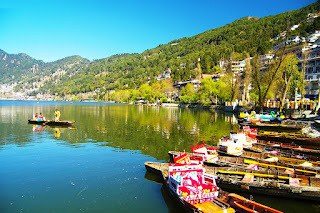 Nainital Lake or as the locals call it – Naini Lake is located in the middle of the town. The hills surround the lake and a stroll round the foot of the lake will relieve your stress. If that’s the reason you decided to come to this place then you will be stress-free in no time! Yes, Nainital offers many wondrous natural beauties that no one would feel like leaving. One of Uttarakhand’s most prized possessions is the famous Jim Corbett National Park. A nature lovers and wildlife lover’s paradise, the National Park is promoted for ecotourism. Originally founded to protect the endangered Bengal Tiger, the Park houses many more species of animals, plants and trees. Jim Corbett Park offers trekking, Safari tours, Corbett Falls and many more. The area is limited to visitors and only a few places can be visited by tourists. Travellers will find many other places like Naina Peak – the highest peak in Nainital, Tiffin top or Dorothy’s Seat. Nainital is really good when it comes to having some leisure vacation. A picturesque hill-station offering a panoramic view of the Himalayas is Kausani. A hill station in the Bageshwar district – the destination offers a scenic viewing of the surrounding on a clear sky. The lush greenery houses an amazing variety of bird species that are native to this region. Nature lovers looking forward to a pleasant holiday will find this place more than what it could offer. This place is best visited throughout the year and if you like snowfall, it would be recommended to visit this place in January – February. Although winter starts in this region from November onwards, the region experiences snowfall around the months of January and February. Uttarakhand offers many destinations for the travellers. Nature lovers have to visit this place for all the things it offers. Be sure to include this place in your travel places to the north as it’s well worth the trip. Tour guides of the Corbett Park will still be able to show you areas which can be visited. Bird-lovers and Animal-lovers will truly enjoy basking in nature’s warmth and its pristine surroundings and natural beauty.